The Italian design house Miu Miu is known for fashion-forward, unique creativity. Inspired by classic design, the innovative team at Miu Miu add a modern twist to create new standards. 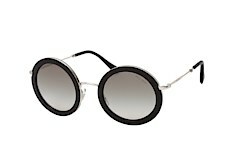 Shop Miu Miu's latest looks at Mister Spex. We have got the hottest looks at affordable prices. 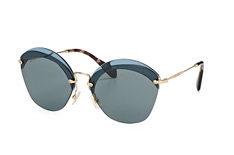 Find your new pair of Miu Miu sunglasses here. 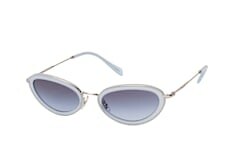 Miu Miu has established itself as a unique and truly eye-catching designer brand. The "little sister" of high-end fashion label Prada is known for exuberant, creative and fresh designs adored by today's A-list celebrities. 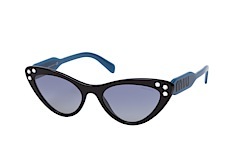 If it is a pair of bold, playful women's sunglasses you are looking for, shop the Mister Spex collection of Miu Miu shades. 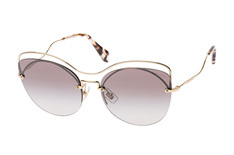 Enjoy our fantastic selection of Miu Miu sunglasses at affordable prices. 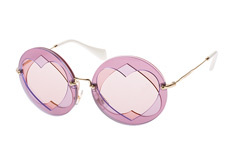 We fit every pair of Miu Miu sunglasses with our high quality lenses that have been tempered and coated with an anti-reflective treatment. UV protection has never looked so good! Find your dream pair and order online today. 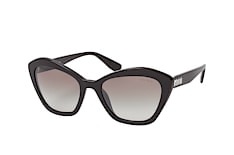 Miu Miu sunglasses are for today's modern, quirky, unique woman and the collection online at Mister Spex has got a host of shapes, colours and sizes to choose from. 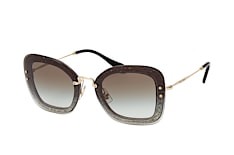 Our filters make finding the right pair easy: shop by frame shape, size or price. You can also take advantage of our face shape filter. Decide which of the four face shapes is closest to your own and see what frames our experts have chosen. We also have an innovative "Virtual Try-On" feature that really allows you to shop with confidence. 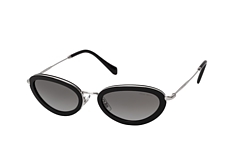 Just choose a portrait photo (or take one with your webcam), upload it and you can instantly see what a pair of Miu Miu sunglasses will look like on you. Go ahead, try on as many as you like, no matter what hour of the day it is; since you are shopping from home, you really can! 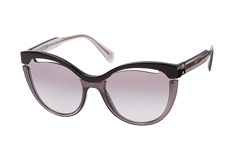 We also have good news for glasses wearers: some Miu Miu frames can be fitted with prescription lenses. Use the handy filter to see which pairs you can choose from. 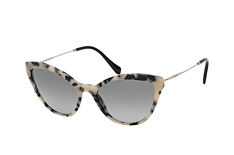 Why hit the pavement or spend hours in a shopping mall when you can virtually try on hundreds of sunglasses from your sofa or desk? Upload your picture and have fun shopping! Superior quality at an affordable price: that is what you get when you opt for Miu Miu sunglasses from Mister Spex. After you have decided on your pair of Miu Miu sunglasses, you are just a few clicks away from receiving your new shades. Delivery is quick and reliable, thanks to our couriers and their tracking services and - best of all - free of charge when you order is over £29.00. 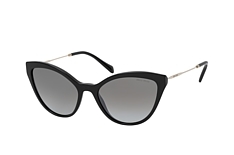 We are certain you will love your new Miu Miu sunglasses, but if for any reason at all you are not completely satisfied, you have 30 days to send them back to us, also at no charge to you. Our helpful customer service team is ready and able to answer any questions that you may have. Give us a call or drop us an email for answers and advice. 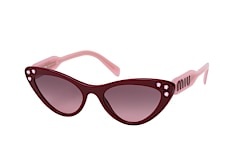 Find fun, fashionable and unique Miu Miu sunglasses online at Mister Spex today!